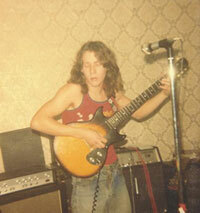 At the age of 9 Danny was given an acoustic guitar and immediately started to compose songs. His first band, 'Danny and the Daleks', formed in the last year of his junior school (St Helens, Cliffe in Kent). The first two years at senior school (Hundred of Hoo in Kent) were spent developing his compositional skills, mainly folk type songs. His art teacher at the time Peter Abnett was a keen amateur banjo player and after hearing Danny's songs got him his first gig at the highly respectable Rochester folk club. At the beginning of his third year in senior school, Danny's family relocated to Bexley in Kent where he began attending Swanley comprehensive school. By the time Danny was 13, he was already experimenting with two and four track recorders. The songs were in the mould of Bob Dylan protest songs, and although naively written they caught the attention of a producer who worked at the Beatles' Apple Studios. Danny and his brother Adrian were invited to record three tracks at the Fab Four's famous studio and, although nothing came of this session, it had made such an impression on Danny's mind that he knew then he would never want to do anything other than music for the rest of his life. At 15, Danny's family relocated to Porthcawl, a small seaside town in South Wales. He left school at the age of 15 with no qualifications, and tried several jobs until the age of 16 when he joined a band playing covers, and secured a summer season at the Pagoda rooms at the Trecco Bay caravan site, playing six nights a week. By the early seventies, people were dropping out and tuning in, and progressive rock was on the increase. Danny dropped out, grew his hair, and formed 'Korig Roots', a three-piece rock outfit that gigged the local youth clubs and schools. Now 17, he had already supported many leading bands of that era such as Quintessence, Pink Fairies, and one of his favourite acts, Patto. Mid seventies, and enter the age of Punk. Sensing the musical change Danny formed the high-energy punk band Dozy, who were finalists two years running in the Melody Maker band competition run by Larry Westland. Dozy then started to play the London pub circuit supporting the top names of the time, such as The Boomtown Rats, X Ray Specs, The Skids and Ultravox. Time Out magazine wrote that the two bands who were destined to make it big were Dozy and a little known band called Dire Straights. Well... one out of two isn't bad. 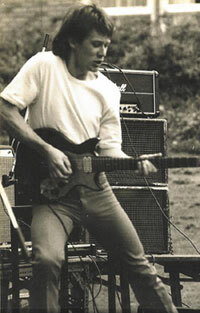 After the demise of Dozy in the late seventies, Danny formed a melodic rock band called 'Singapore', and attracted quite a lot of attention from several major labels who took them into the studios. One such label was German company, Hansa. Simon Napier Bell produced the session and it was the first time that Danny really understood the role of a producer. Simon had taken a very unfocused track and with lightning editing had turned the track into a great single format. 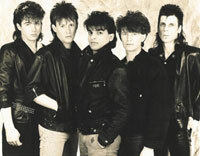 At that time, Simon was managing a band called Japan; very creative, with a very strong image. Unfortunately, Singapore had no image whatsoever and this contributed to them not being signed. It wasn't until the early eighties that Danny finally secured his first recording contract. After a very successful appearance at the Reading festival in '82, Magnet records signed Danny's next band 'Just Good Friends'. Their single, 'One Night', was recorded at Ridge Farm Studios with producer Pete Hammond at the helm. Pete later went on to do all the 12" mixes to the early Stock, Aiken and Waterman hits. 'One Night' was the only single to be recorded, and Just Good Friends were dropped from the label within a year. The band battled on for the next two years until '85 when the band split. Danny decided to search for a publishing deal to continue his song writing. It was at a meeting with Jim Doyle, head of publishing at Elton John's company Rocket Records, that things took a turn for the better. Jim told Danny that he was about to leave Rocket and head up the publishing arm at Zomba, and suggested that Danny call him in a couple of months after he had settled in. 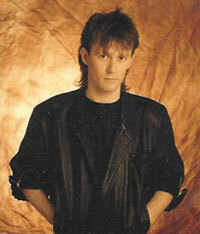 Danny subsequently signed to Zomba where Jim steered Danny's career more towards the TV side of the business. Danny was at Zomba for seven years, and will always be grateful to them for the development of his career. Danny and Jim became great friends and, to this day, Jim continues to handle all aspects of his career.